India, September 28, 2017: FOSSIL is proud to announce Bollywood celebrities Varun Dhawan and Shruti Haasan as its first ever Indian celebrity brand ambassadors. Two of Bollywood’s most influential celebrities, Varun and the multitalented actress and singer Shruti will feature in FOSSIL’s first ever multimedia campaign launching throughout India by the end of the year. The partnership with these celebrities celebrates the launch of the new generation of Fossil Q touchscreen smartwatches, which are a perfect fusion of technology and fashion. FOSSIL’s newest smartwatches aim to make consumers and our brand ambassador’s daily lives more efficient without compromising their personal style. Both cast members were chosen both for their unique personal style as well as their integral relationships with the brand. Just as our smartwatches represent the next generation of watches, these celebrities represent the next generation of Fossil fans. India becomes the second country in the subcontinent, close on the heels of South Korea, to engage celebrities to represent the brand in the country. Varun Dhawan and Shruti Haasan will be seen representing the new range of touchscreen smartwatches, which enables seamless integration of technology and fashion in its customer’s lifestyle. Speaking on the collaboration, Mr. Johnson Verghese, Managing Director, FOSSIL India said, “We are very excited to partner with young, refreshing talents like Varun and Shruti. They not only represent the next generation of Fossil fans, they also personify a rare blend of talent, class, intelligence and popularity. More importantly they complement FOSSIL’s legacy and brand ethos which hinges on three pillars – timeless style, authentic inspiration and spontaneous creatively. Both actors will be endorsing our latest Gen 3 touchscreen smartwatches in a multi-media campaign which is all set to kick off. The campaign aims to appeal to the discerning Indian customers, who seek the best of both fashion and technology. We firmly believe this engagement will open up new avenues for us to engage with a broad set of young consumers. We extend a very warm welcome to both actors and look forward to a fruitful journey”. 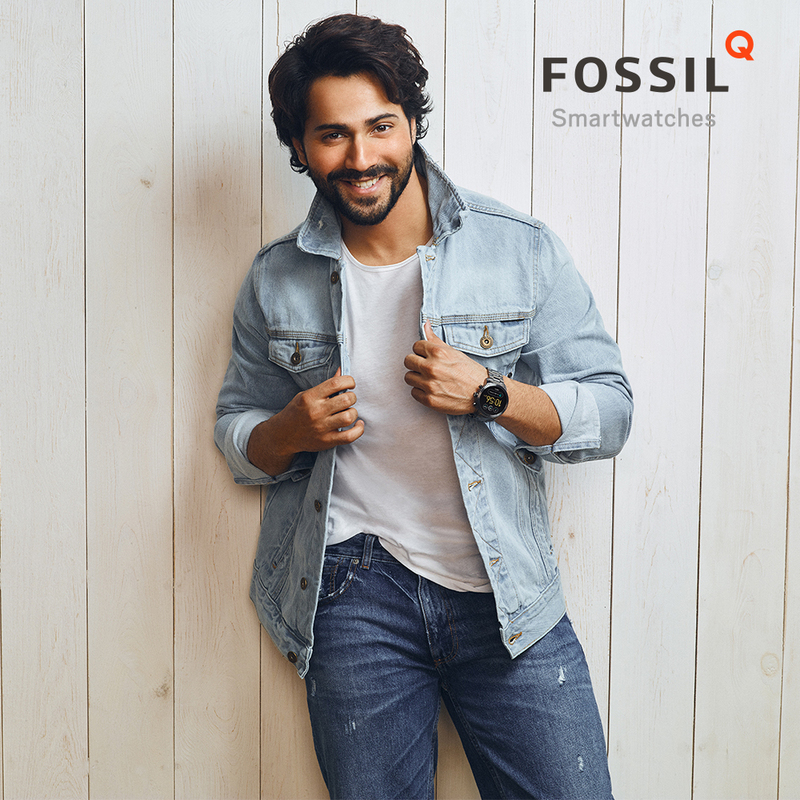 Talking about the association, Actor Varun Dhawanadded, “It’s a privilege to be associated with FOSSIL. I have always admired this iconic brand and am particularly excited to be the chosen one to launch the GEN 3 Fossil Q touchscreen smart watch collection. The decision to be a part of FOSSIL links back to my natural affinity with the brand’s values and personality in many ways. I look forward to being an integral part of the FOSSIL family and its fascinating growth journey in India”. Fossil Gen 3 touchscreen smartwatches are priced between Rs.19,995/- to Rs.21,995/- and are available in all exclusive Fossil retail stores and select doors across the country.